Plugging away on the color pages. Color sure makes the story so much stronger. Thanks again for all your support, we sure appreciate it. It’s you that makes all of this possible. there are occasions when the art work makes me think Bill Watterson (Calvin and Hobbes). The middle frame of bean of this page is a particularly good example of it… maybe not so much his humans but of hobbes. man I love this in colour. 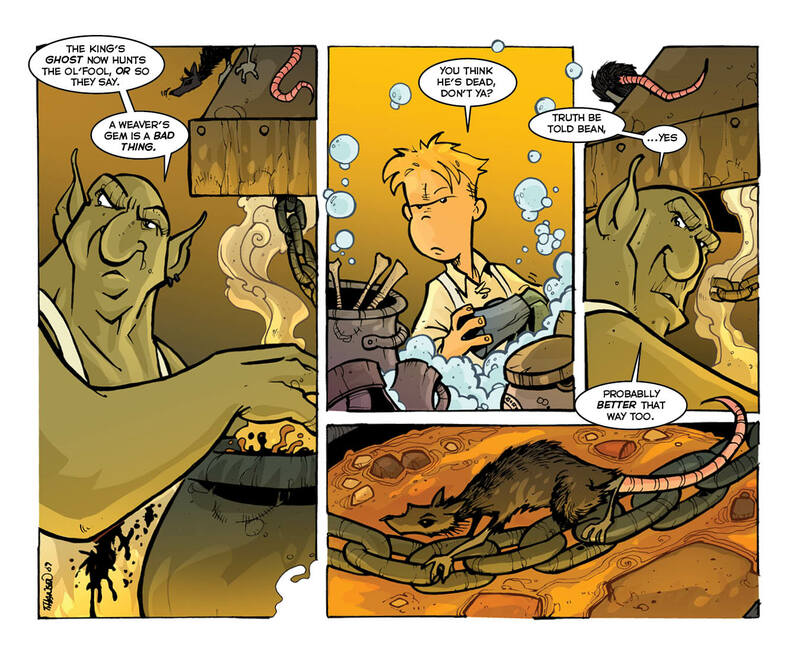 that rat, groggle, and bean just make for such a nice composition on this page. oh god… I'm going off like a fanboy now. Ben had too much on his plate right now to continue. The comic has always been in b/w first. It wasn\’t till a few weeks back that ben offered to color it. My goal is to finish the story first. Well dimed, snagged the angst pretty well! XD, Nice plot and continuity for an ' amateur ' manga, so to speak. could do well in syndication, but I don't have the last word and will have to grovel before Satan's minions to even get my opinion considered. Ah well, I guess I'll just enjoy the freebies as long as they exist!